I can't help but notice how two things are happening simultaneously in our culture: (1) the rise of atheism and (2) the rise of the occult. It seems contradictory, but it stems from the fact that with the advent of the Great Apostasy of Vatican II, anything goes except the Truth. There is no sure guide condemning modern errors since the death of the last pope, His Holiness Pope Pius XII in 1958. Satan makes the most of the situation by fostering positive Indifferentism (i.e., one religion is as good as another, so who cares what someone believes), negative Indifferentism (i.e. all religions are equally bad, which leads to atheism), and occult practices (which leads them to perdition doing works pleasing to Satan). The latest phase in what some have called an "occult invasion" is the Pokemon Go craze which is sweeping the globe. To better understand the craze and what's wrong with it, this post will examine the game and explain the danger. The very word "Pokemon" is Japanese for "pocket-monster," i.e., a demon. The original Pokemon craze sprang from the popular Nintendo hand-held Game Boy video game and progressed to a 1998 TV cartoon series here in the United States. Pokemon cards, movies and other merchandise were ubiquitous among boys ages 4 to 17. In 2000, sales of Pokemon items was approximately $7 billion dollars. There was a wave of violence over stealing cards and assaulting people to get them. The weird looking monsters are to be captured and "trained" by humans to battle other monsters. If victorious, your monster gains points and "evolves." Since the game's recent release earlier this month, Nintendo stock shot up $7.5 billion dollars. The app is being downloaded more than Instagram, Snapchat, and Facebook. This time, it's not limited to mostly young boys playing. Adults of both genders are getting addicted quickly. As Our Lord told us, "By their fruits, thou shalt know them." (St. Matthew 7:16). There is much to worry about this game. 1. Pokemon Go is being used by armed robbers to ensnare victims. 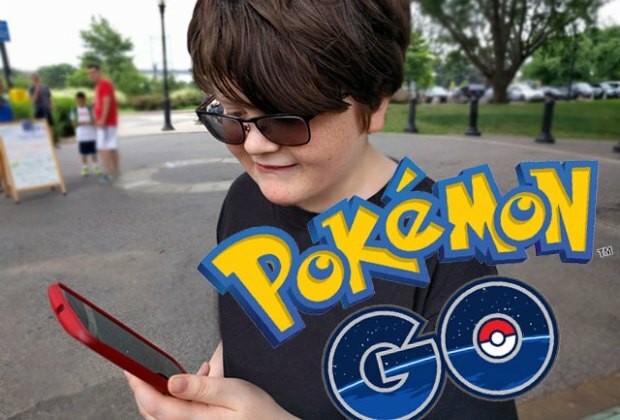 According to The Guardian, "Armed robbers used the game Pokémon Go to lure victims to an isolated trap in Missouri, police reported on Sunday.At about 2am in O’Fallon, Missouri, officers responded to a robbery report that led them to four people, all local residents aged 16 to 18, in a black BMW in a CVS parking lot. The occupants tried to discard a handgun out of the car when an officer approached, said Sgt Bill Stringer. The officer then identified the four people as suspects of similar armed robberies described in St Louis and St Charles counties.The adult suspects were charged with first degree robbery, a felony, and had bond set at $100,000 cash, Stringer said. Stringer added that police believe the suspects used the phone app, which directs users to capture imaginary creatures superimposed onto the real world, to tempt players into secluded areas where they could be easily robbed. At a certain level in the game, he noted, players can congregate at local landmarks to join teams and battle. In a separate statement, a department spokesperson added: 'you can add a beacon to a pokestop to lure more players. Apparently they were using the app to locate [people] standing around in the middle of a parking lot or whatever other location they were in.'" This could also be used by pedophiles to lure unsuspecting children. 2. It creates dangerous driving habits leading to accidents. You aren’t supposed to drive and play; the game reads your geo-location and can tell the speed you are moving. If it senses you are driving, you will be kicked out of the game except if you drive at very slow speeds. In this fashion, the game won’t detect that you are driving. Driving and stopping while capturing the elusive Pokémon could be even more dangerous than texting and driving. Many accidents have been reported throughout the country. Is it Bad just Because of the Name? Some people will protest that it's just a game, and place my warning on the same level as those who see evil everywhere and Black Helicopters are around the corner. Not so fast. Everything we do trains or conditions us for better or for worse. Seeing a movie, reading a book, or playing a game can open an interest in something. Whatever that something may be, it could lead us down a good path or a bad path. Many children and young people have admitted dabbling in the occult as the result of Harry Potter books and movies, as well as by the Twilight series. The pagan website (run by modern pagans--I'm not using the word "pagan" in a pejorative sense) wildhunt.org has an article entitled Pokemon and the Great Occult Scare which tries to assure us that Pokemon has nothing to do with the occult. I beg to differ. The very idea of capturing spirits to do your bidding is occult and its practice forbidden by God. It has the worldview that there is no God, just spirits and a set of occult laws. Success is predicated upon using the right ritual. The time spent "chasing Pokemon" could be better spent in prayer, acts of charity, or games/sports/activities that are devoid of occult themes. Pokemon Go is of occult origin, and introduces children and adults to the world of the occult. It is causing many bad things to happen in just a short amount of time. The game, in augmented reality, makes you think you're chasing demons to control them. In actual reality, it's the other way around. Have nothing to do with it. Thanks for the informative article. Have been wondering what this Pokemon craze was all about. 2 people were lured to a park near where I live playing this game and held-up and robbed at gun point. Another person was walking in the city playing this game and fell down a man hole. The firefighter trying to do the rescue of this person was injured as well. It seems like this game has taken over people's minds as they have become obsessed with playing it and put themselves in danger as well as others. It most definitely is demon inspired. It sure is Joann. There's a lot of evil in the world. Much of it comes from places we don't expect! This game is popular in the West because Western people have become immoral Godless pagans. Everything will continue to get worse and go down hill.My own family is falling apart due to excess rebellion feminism and paganism. I personally have lost any semblance of hope for Western Countries & people. The way people behave & talk in public is proof we as a nation are a lost cause.This stupid game is just one of many Demonic diversions that will contribute to our imminent implosion. The days are indeed evil. Try not to despair! Have recourse to Christ, His Mother, and St. Joseph while staying close to the True Mass and sacraments. With God all things are possible. You (and your entire family) are in my prayers. Thank you I appreciate it very much.I too have heard similar stories like Joann. Thank you for writing about the Pokémon Go craze. I suspected it was not good, and now I know. God bless you, Introibo. Thank you Michelle. Be assured of my prayers. Good grief. Why mistranslate to prove a point? Pokemon means "pocket monster" not pocket demon. A monster is defined as a large, ugly, and frightening imaginary creature. A monster is not necessarily a demon; a demon is a fallen angel, a damned angel. We shouldn't make everything imaginary or fictional into something demonic, satanic, or of the occult. I'm not defending Pokemon or this new app at all (it looks stupid) but as a traditional Catholic it is disconcerting how cultish some of us come off being against all fiction, movies, video games as though everything is evil that is not explicitly religious. There are monsters in Lord of the Rings; not all of them necessarily demons. It is fiction; a story. You make a thoughtful objection, but I think I made the point clear in my post. Monsters in Japanese culture are associated with evil spirits. I agree that with you that we should not be condemning everything not explicitly religious. However, we should also not condone those movies and games that are seeped in the occult and lead the curious into doing practices forbidden by God. The Lord of The Rings had monsters set forth in the decidedly Christian worldview of Tolkien. Pokemon Go is set forth in the occult. I don't know anyone (nor have I read in any reliable source) of people dabbling in the occult due to Lord of the Rings. Add on the frenzy of catching these Pokemon, driving accidents, robberies, and possible invasion of privacy. Does this sound like it is either of God or harmlessly neutral like playing a sport? Just a game? That's what they say about the Ouija Board too. I don't think you'd want to be involved with that as a Traditionalist, and with good reason! When I was in high school a buddy of mine found a Pokemon game in the hallway and handed it to me as a joke because he knew I had a gameboy. I tried it out and was instantly hooked. Luckily I was too cheap to buy the next game once I finished it. That was 15 years ago. The games nowadays are even more addictive. We need Catholics to hack into this game and instead of capturing monsters you find Saints and Angels who give you advice on how to defeat the demons. Could you imagine St. Louis De Monfort getting all these gamers to pray 15 decades of the Rosary? For every Rosary you get one level up. Now that's motivation haha! Cliff, you might want to patent that idea! You could be on to something big, with all the potential from people fed up with the occult garbage. How long until the "Monsters" start whispering to the Gamers? With all the mayhem going on, maybe some have already started doing so!! You're correct about the Occult becoming popular. However,ever since Hollywood began, it's been a hotbed of Luciferian occult activity. Charles Manson was connected to a very wealthy super connected Satanic Cult. One of the cult leaders was Kenneth Anger,who was a child star in the 1930's. Hollywood's job has been to destroy morality and Catholicism.The men running the show have anticipated the occult becoming mainstream,it's no accident. Yes. Hollywood is indeed the leading promoter of the occult. The overwhelming majority of movies and television programs are poison to the soul. We must be vigilant and learn to discern wisely! You write,"ive played the games and watch the show for years and honestly I havent wanted to or have an urge to "go join an occult or worship satan" or anything but rather learn more about nature. " Reply: I never said the game would turn everyone into a bona fide Satan worshiper. It is seeped in the occult and could lead people into practices forbidden by God, and open a door to evil in their lives. Play with fire you may get burned. You write, "Also it was not developed by "Wizards of The Coast", but by Game Freak and later on the cartoon/anime by 4 Kids Television both television and game companies that support family togetherness." Reply: Read the amazing testimony of Noah Ellis below. The card game was by Wizards of the World, not the rest which was by Game Freak. Mea culpa. being together with your family is great, but more importantly, what you are doing with that time is vital. Watching/playing occult-themed shows and games is not time well spent. Pray a family Rosary! You write, "also the original creator Pokemon known as Satoshi Tajiri had the ideas from when he was a child that loved to explore his back yard and catch bugs. which is nothing to do with demon summoning but the fact that pokemon are based on real life animals, people, cultures (good and bad), and diversity." Reply: Yes, that's what the pagan website reported. I'm not an entomologist, but I'm pretty sure bugs don't "eat a person's dreams" like Pokemon Haunter, "emit negative energy" like Kadabra, or "laugh at peoples' fear" like Gengar. Bugs may have given him the genesis of the idea, but it didn't become a "bug fight game." Pagan religions are sometimes referred to as "earth religions" because they worship nature, and various "spirits" connected with it. It is demonic. You write, "You are taking this franchise too literal with the fact that its a simple game meant to entertain children and people of all age and genders and teach them good morales thats the same as an any day of bible school could do." Reply: No, you are taking it too lightly. Go back and read again what I wrote. Occult themes and practices (which have also caused much problems in a short period of time) is neither entertainment nor good morals. Pokemon has caused MANY assaults, and has been used to entrap people to be robbed. Is this your idea of good morals? Please, young man, pray to Christ and His Mother for the strength to get away from this evil game! Read Noah's testimony below. The young man Austin, to whom I just replied, left me a comment so full of profanity, and anti-Catholic hatred, I can't publish it. It only goes to prove my point. Please pray for this young man everyday, he needs God's Grace to see his way out. even taught the HAIL MARY by my Novus Ordo family, but I did know all 150 Pokemon. It's a major distraction, as this Pokemon Go is. I originally downloaded Pokemon Go through peer pressure and an innocent spirit, but as soon as I saw the 'bad fruits,' it was over. ps - A little correction. The original game franchise was and is made by Game Freak and the card game was made by Wizards of the Coast. Thank you for your insightful testimony! You are also correct that the card game was produced by Wizards of the West Coast, not the game franchise itself which was/is by Game Freak. Mea culpa! You're a blest young man to have seen the light and come to the Truth! I'd be so happy translating this article into French but I'm afraid I lack time for this.